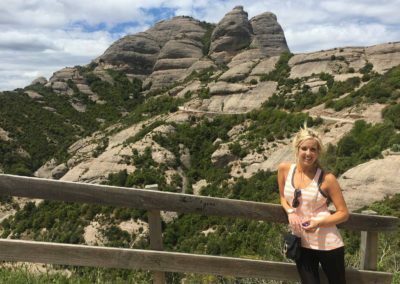 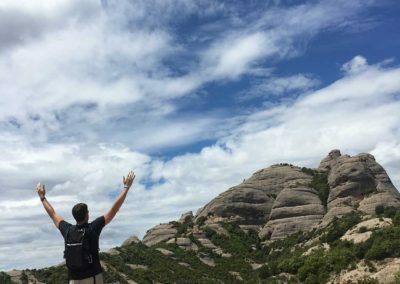 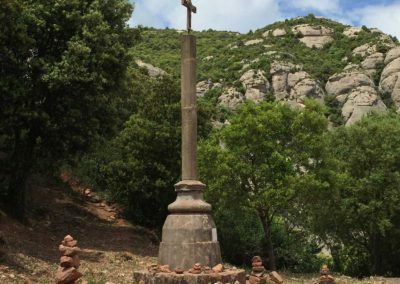 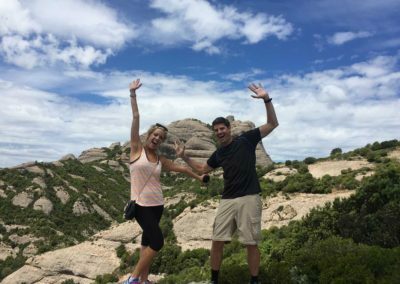 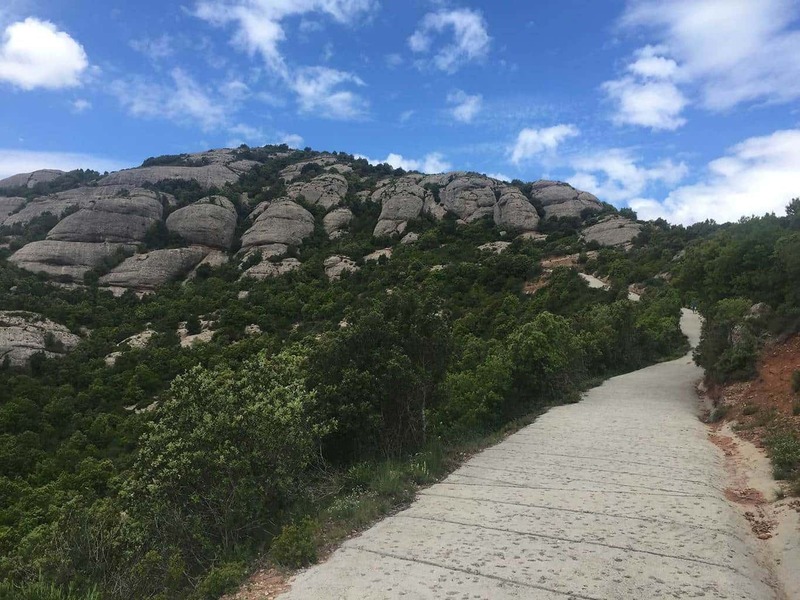 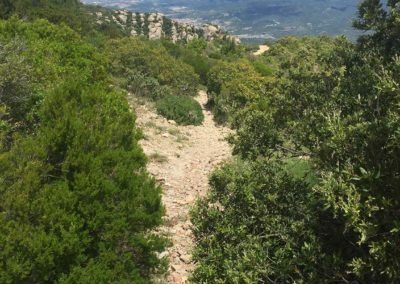 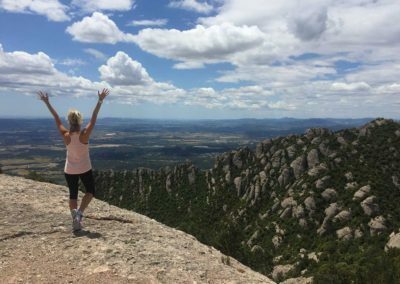 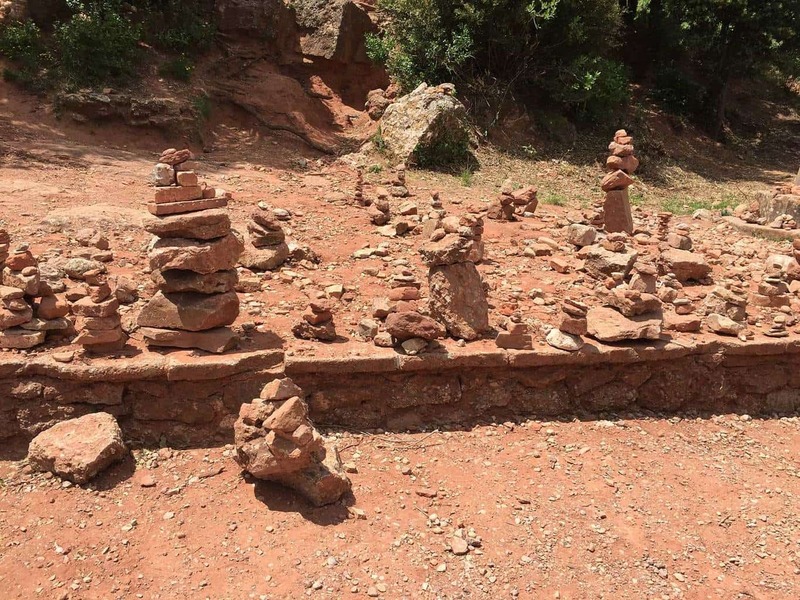 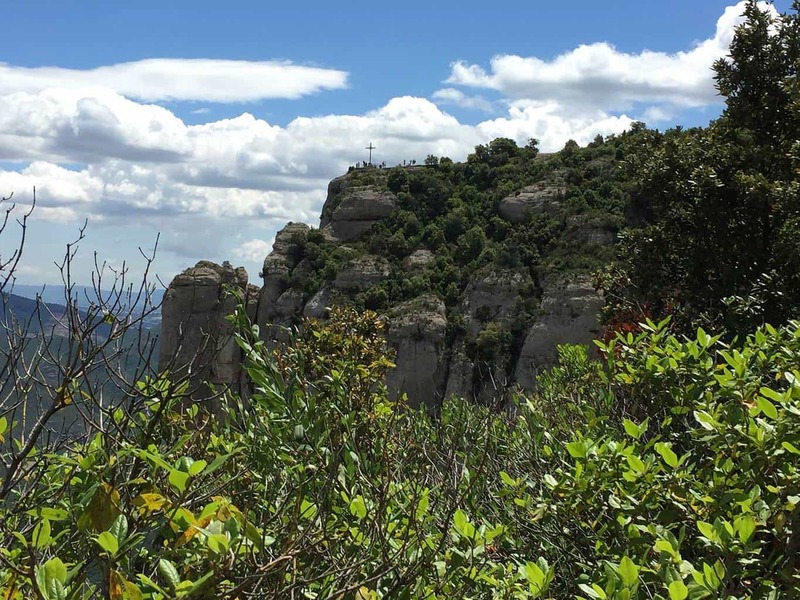 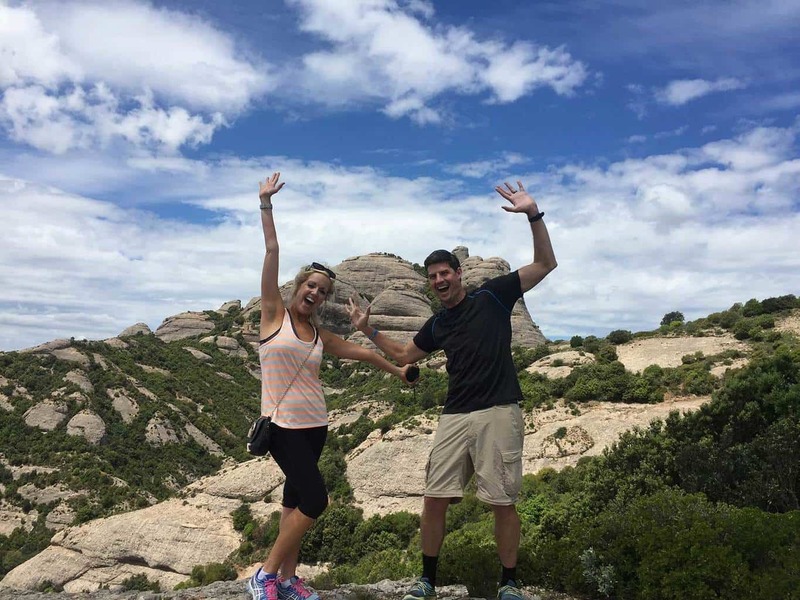 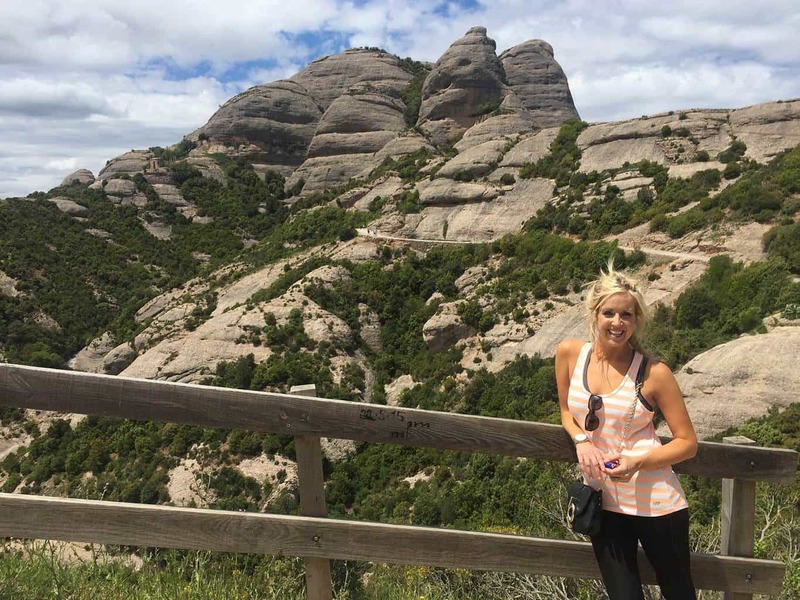 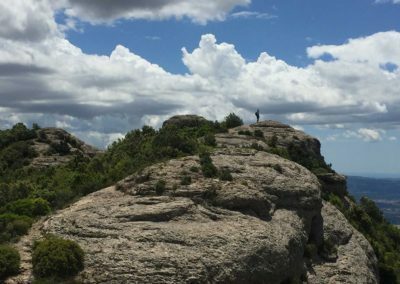 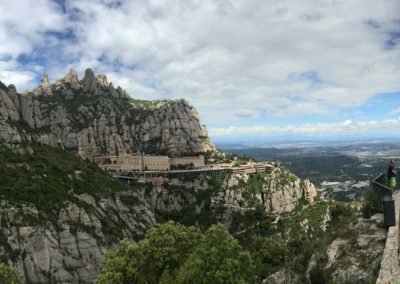 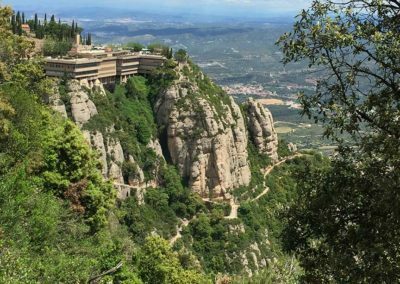 Best Hiking Trails in Spain: Located about a 1-hour train ride from Barcelona, Montserrat mountain features several iconic hiking trails and peaks for hikers of all levels. 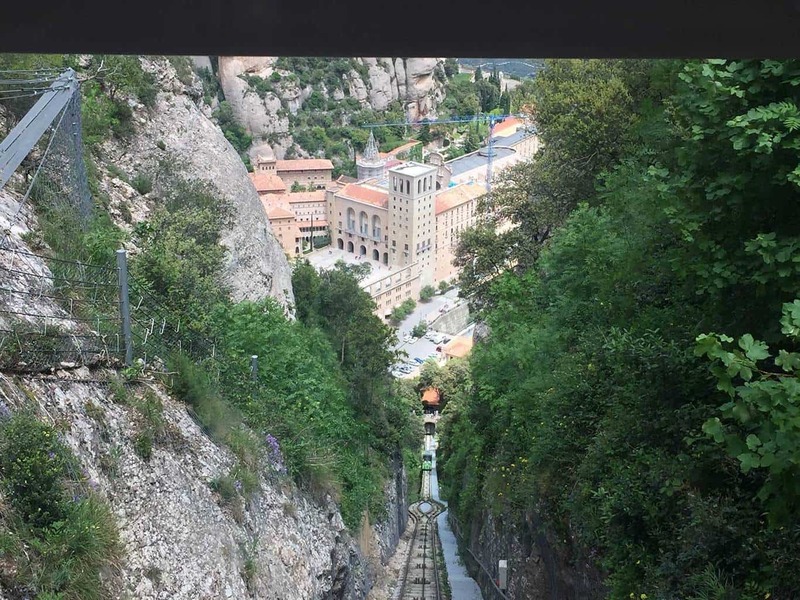 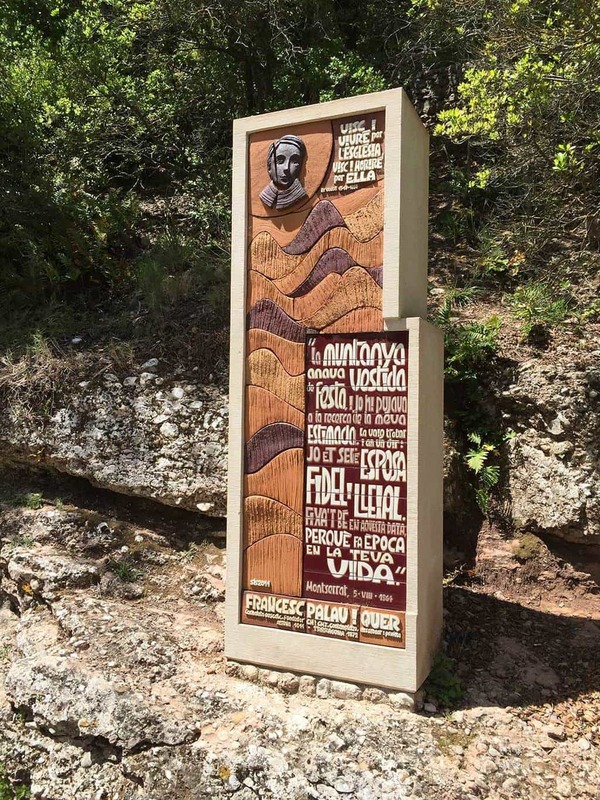 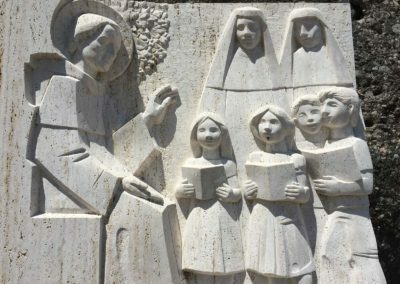 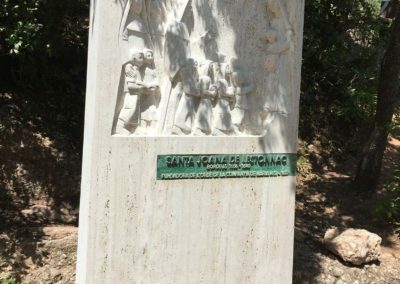 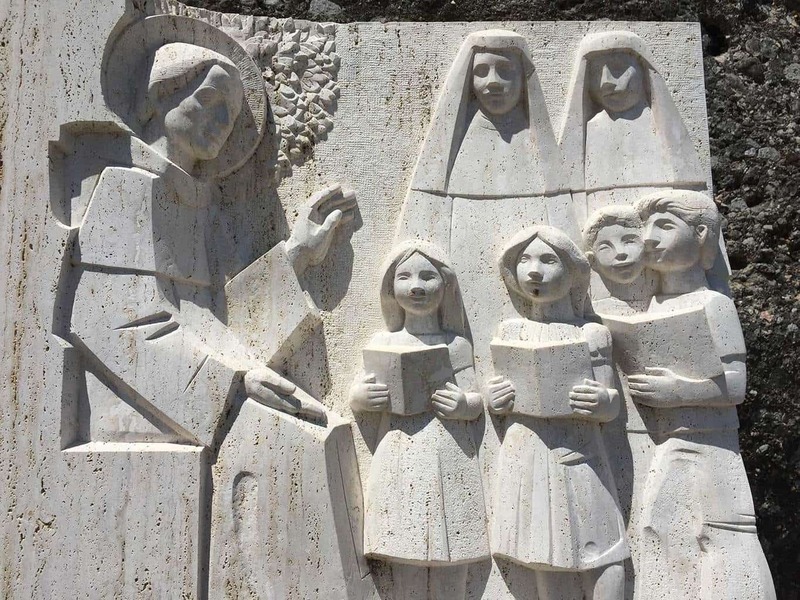 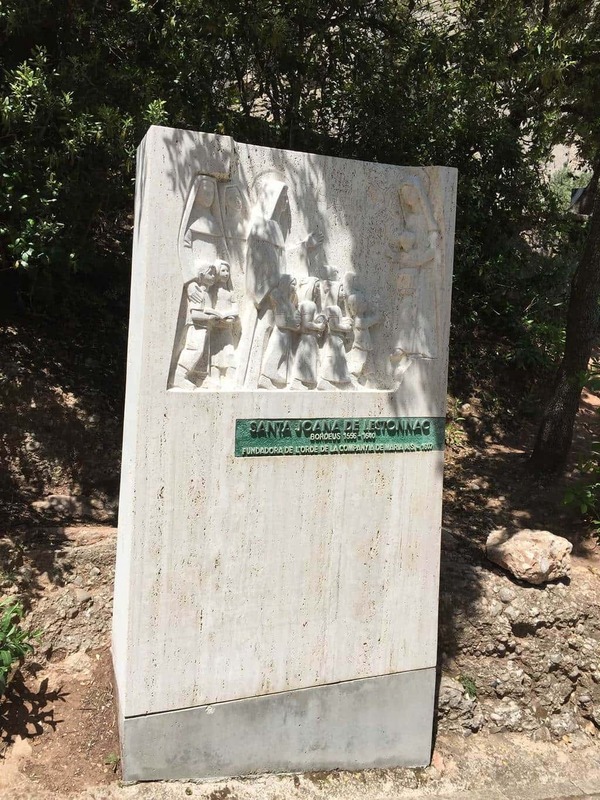 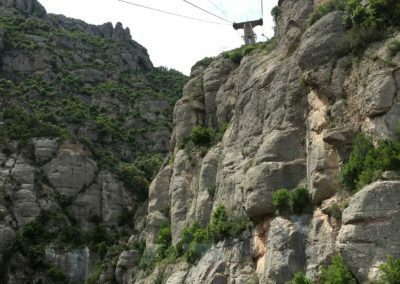 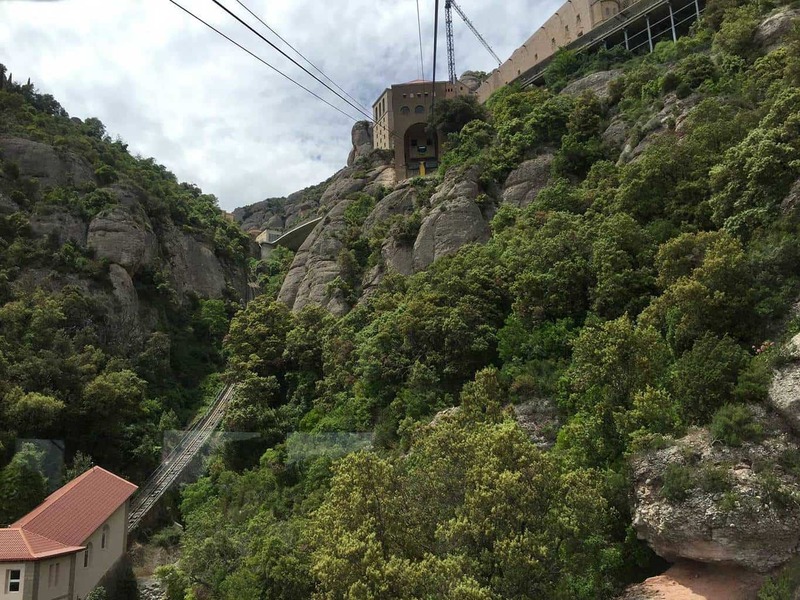 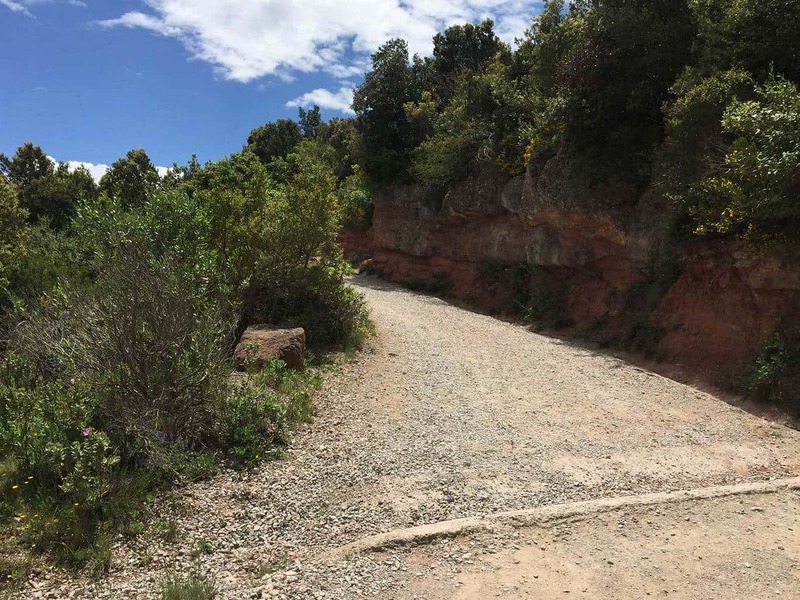 The base of the trails are accessible by either the Aeri de Montserra cable car or the Montserrat Rack Railway, which takes travelers to the Santa Maria de Montserrat Abbey. 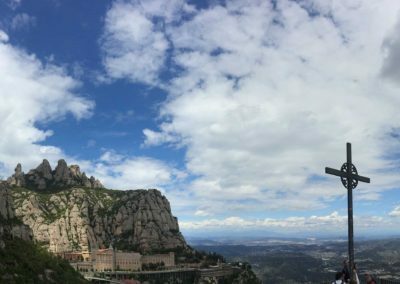 Established in the 10th century, the Abbey of Montserrat monastery still functions today with over 150 monks and is home to the famous Virgin of Montserrat (the black virgin). 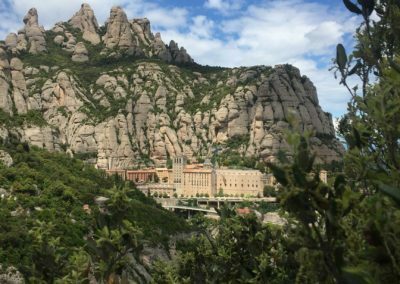 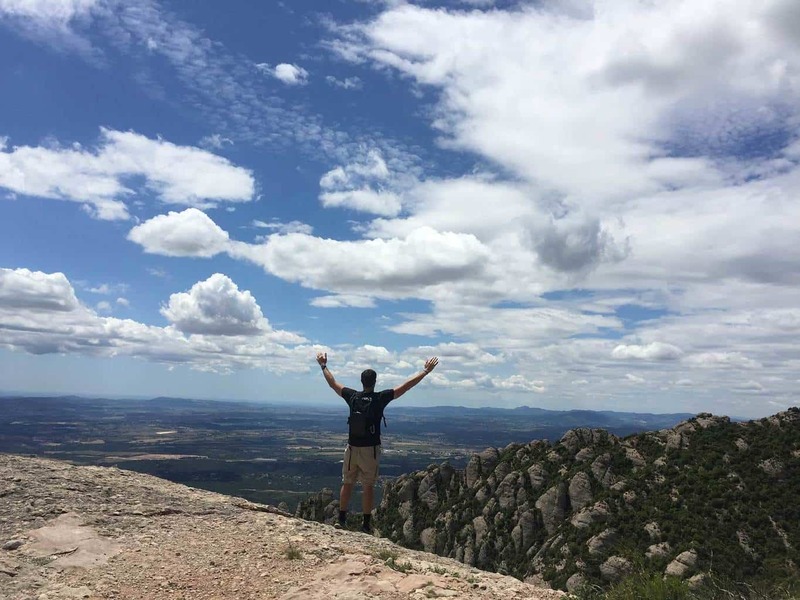 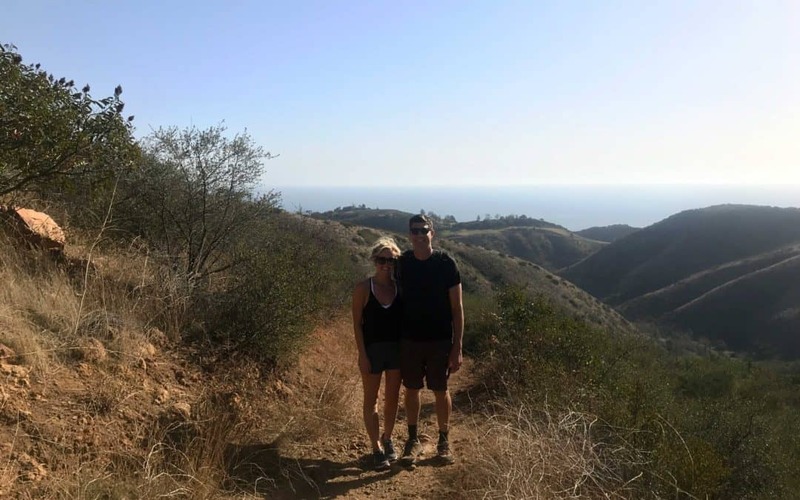 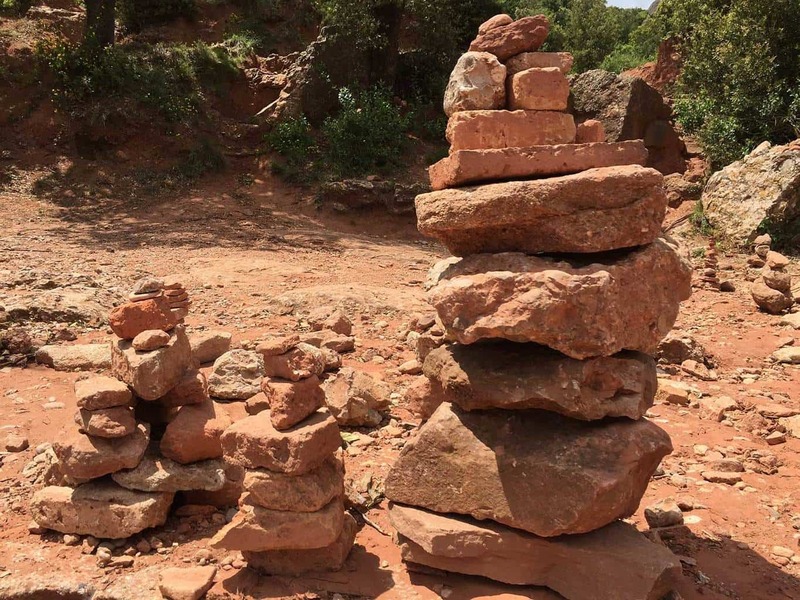 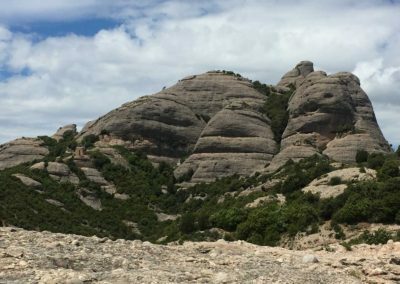 Montserrat, which means “serrated mountain,” features towering and rolling boulders that create an ideal hiking environment for explorers, bikers and mountain climbers. 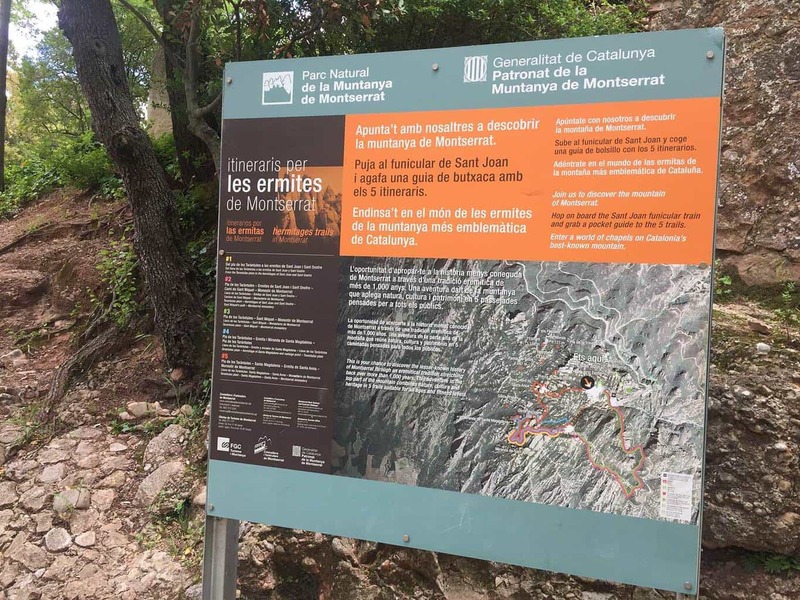 The trails leading away from the monastery are well maintained and labelled for visitors in several languages. 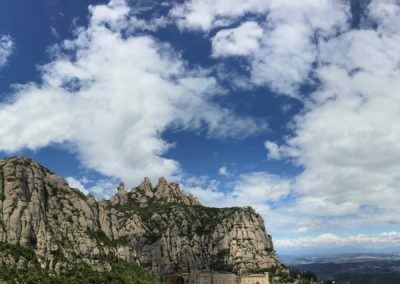 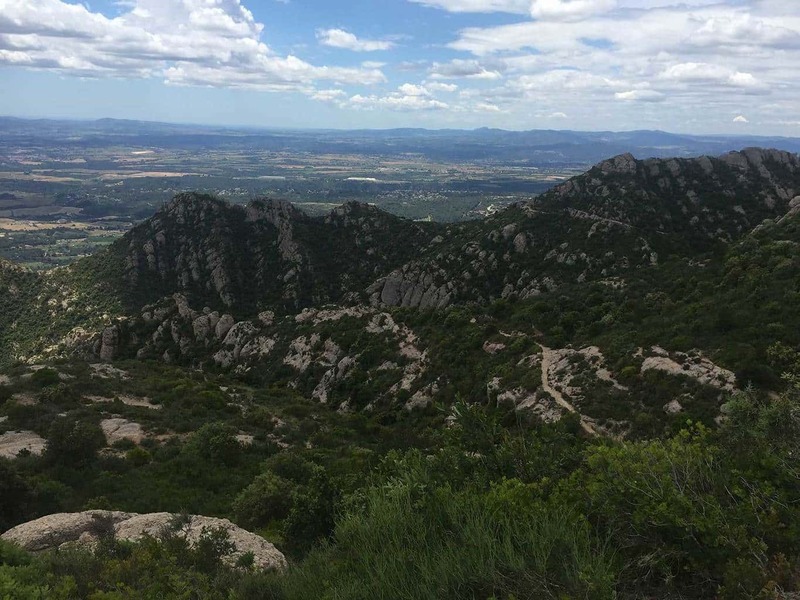 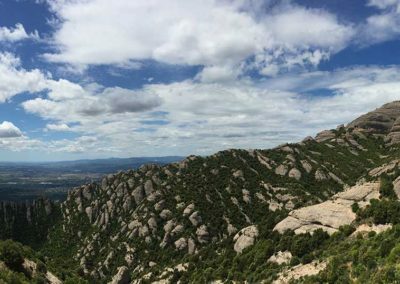 There are three immediate peaks in the Montserrat area (Sant Jeroni (1,236 m), Montgrós (1,120 m) and Miranda de les Agulles (903 m). 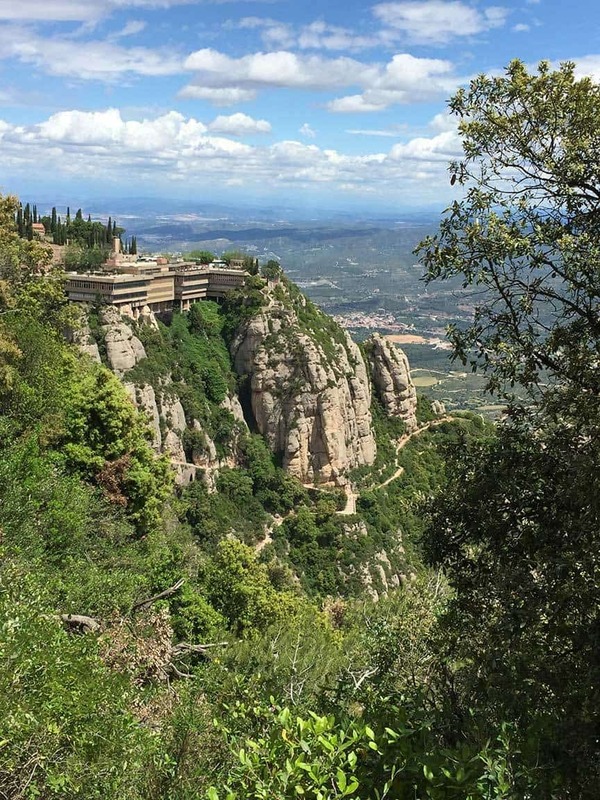 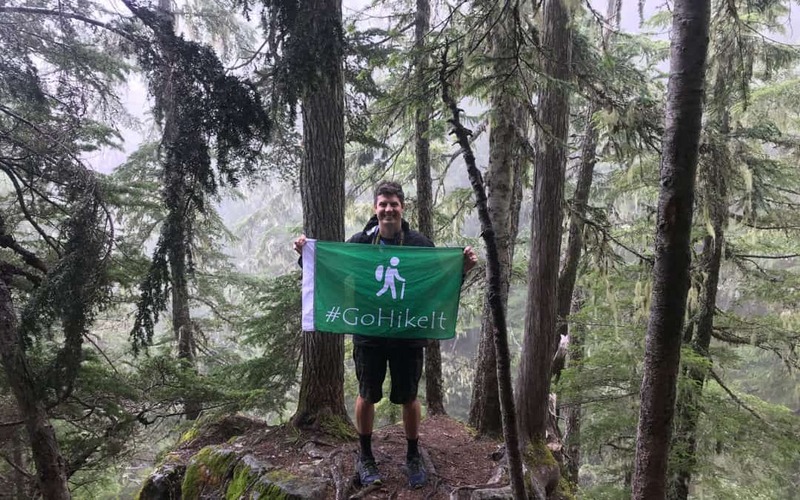 For this hiking experience, the #GoHikeIt team did a loop from the monastery past several historic landmarks. 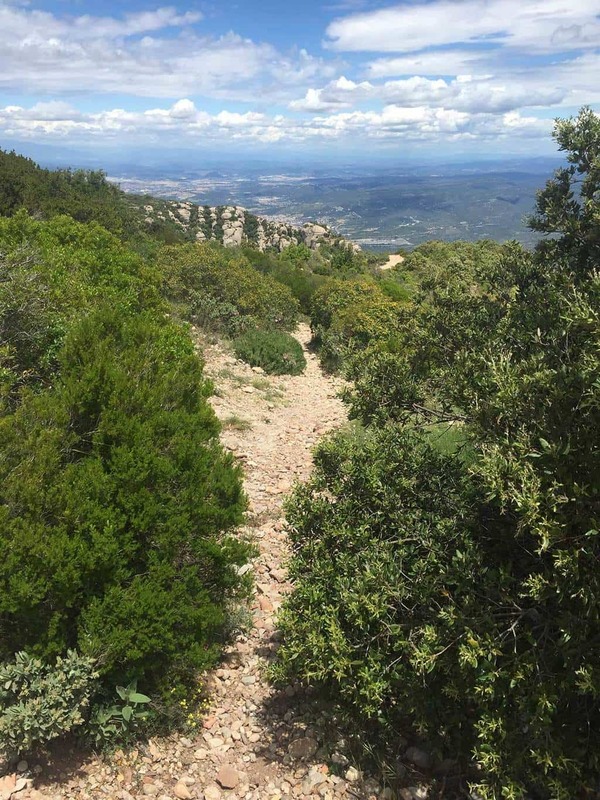 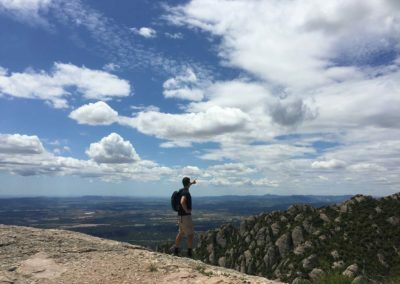 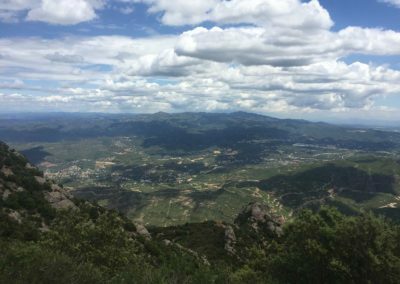 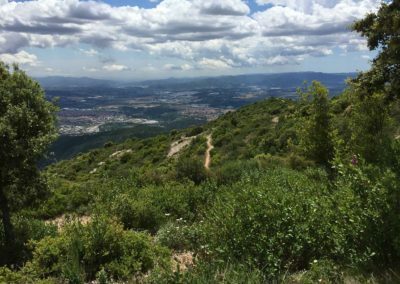 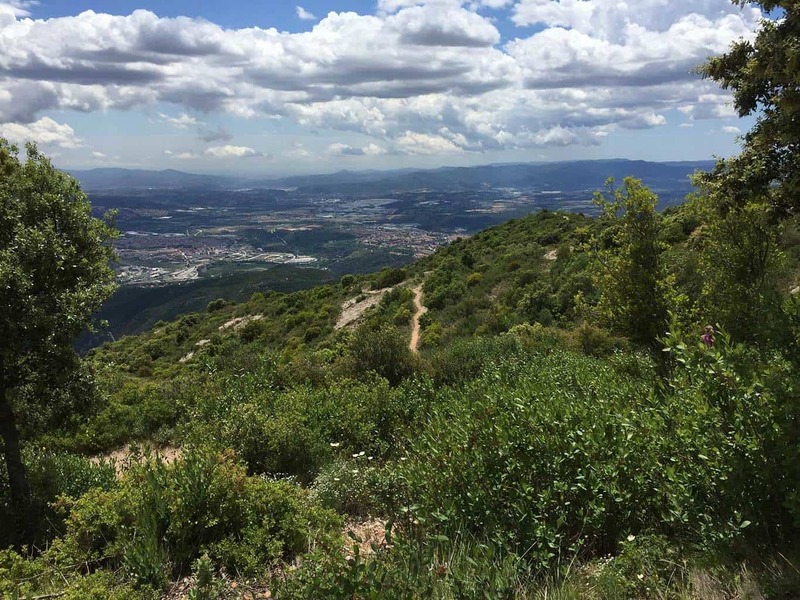 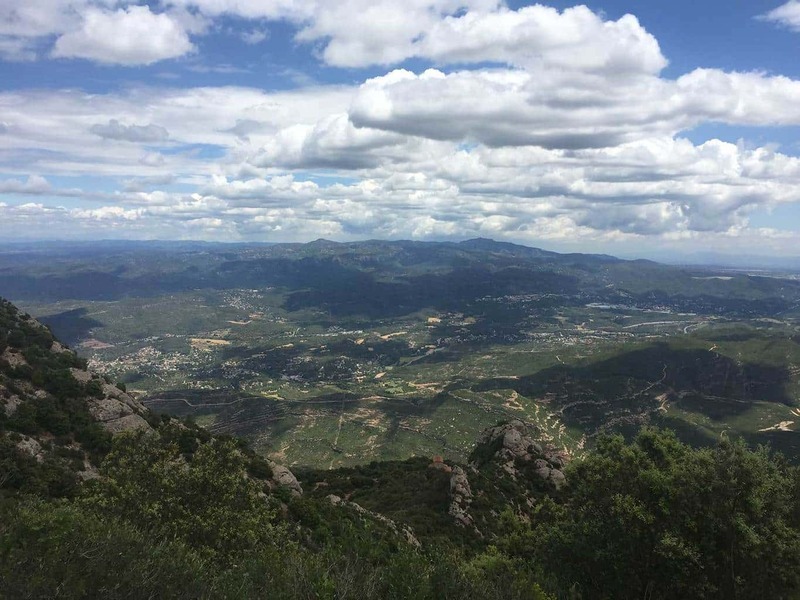 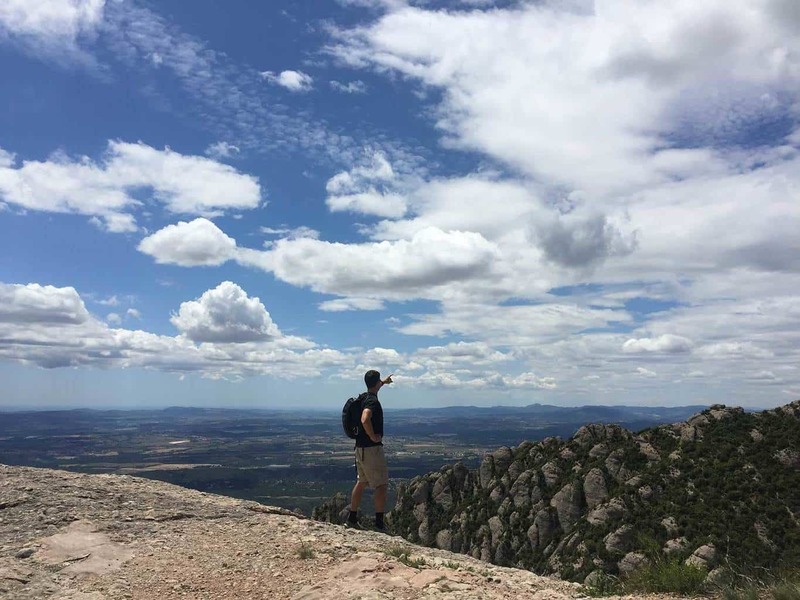 Throughout the trail, we were able to enjoy panoramic views of the Catalonia countryside and see why this is one of the most beautiful regions in Spain. 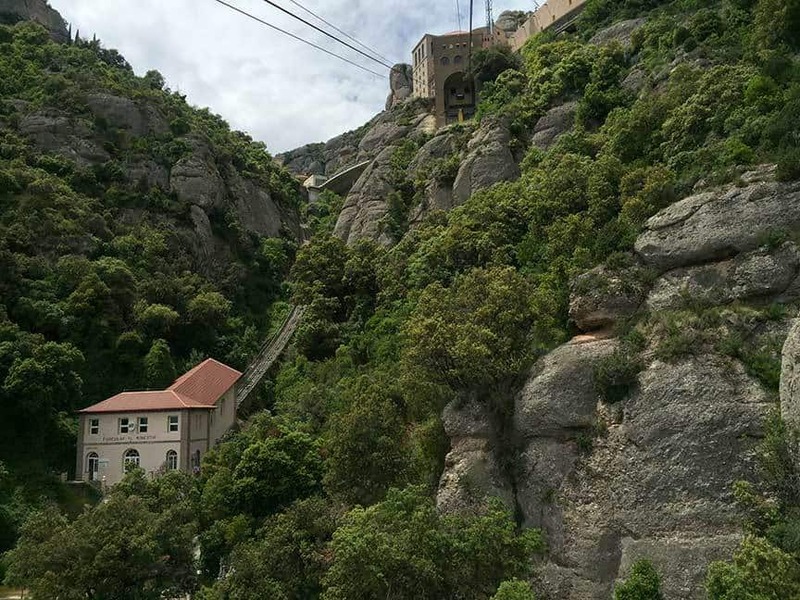 When we reached the peak of the trail loop, we took funicular from the Sant Joan Funicular Station back to the monastery. 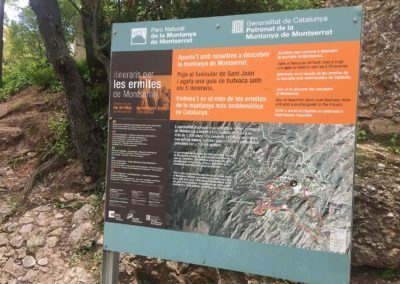 The suggested times below provide time to explore the monastery. 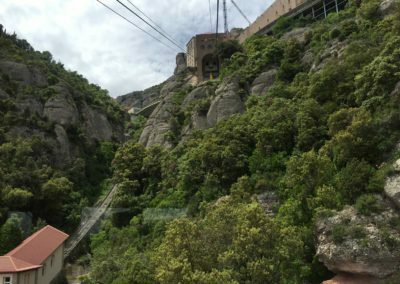 Tip: The cable car runs every 15-minutes to the train station, while the train back to Barcelona typically only runs every 1-hour. 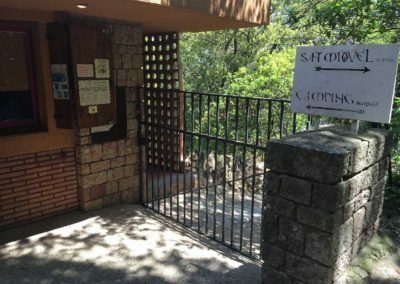 Plan accordingly. 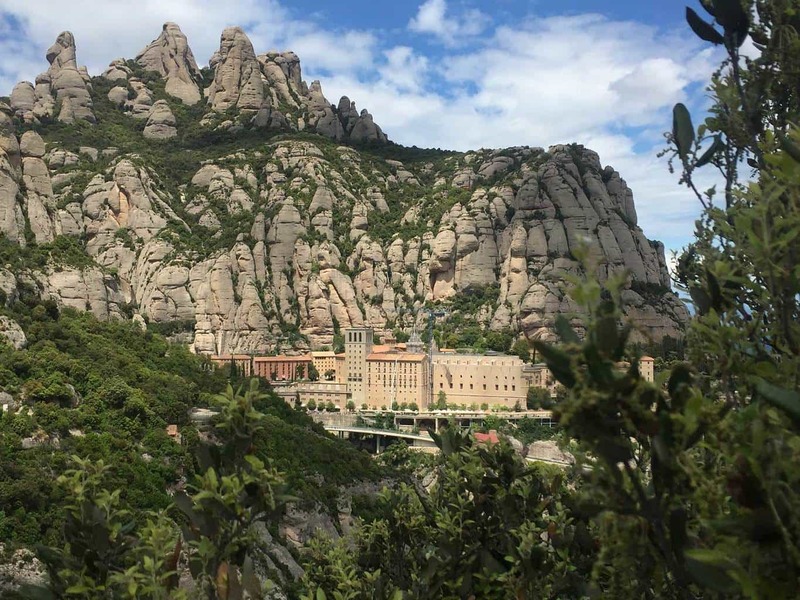 The Santa Maria de Montserrat monastery was established in the 10th century and still operates today. 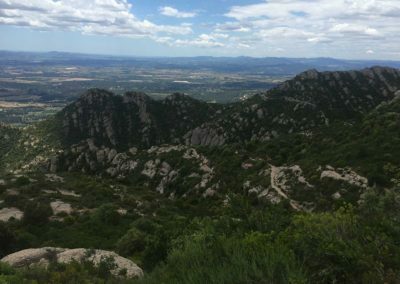 There are three main peaks at Montserrat, Sant Jeroni (1,236 m), Montgrós (1,120 m) and Miranda de les Agulles (903 m). 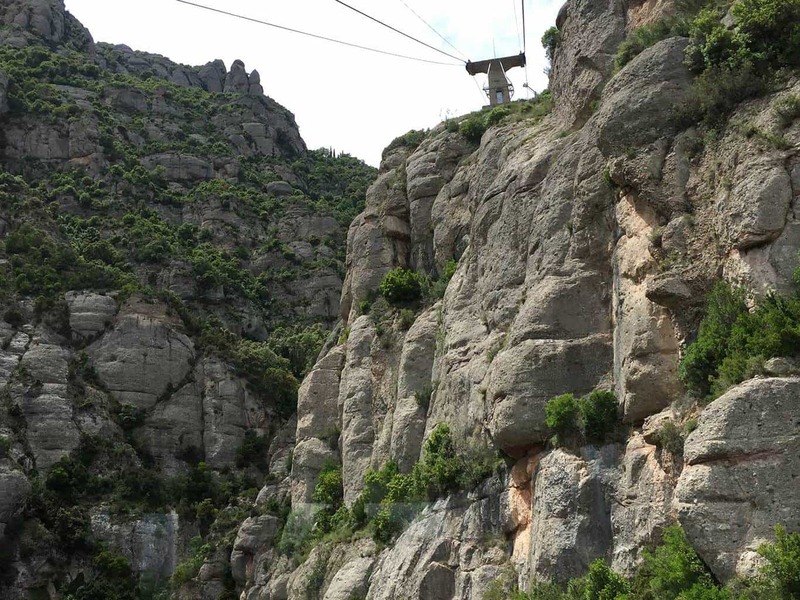 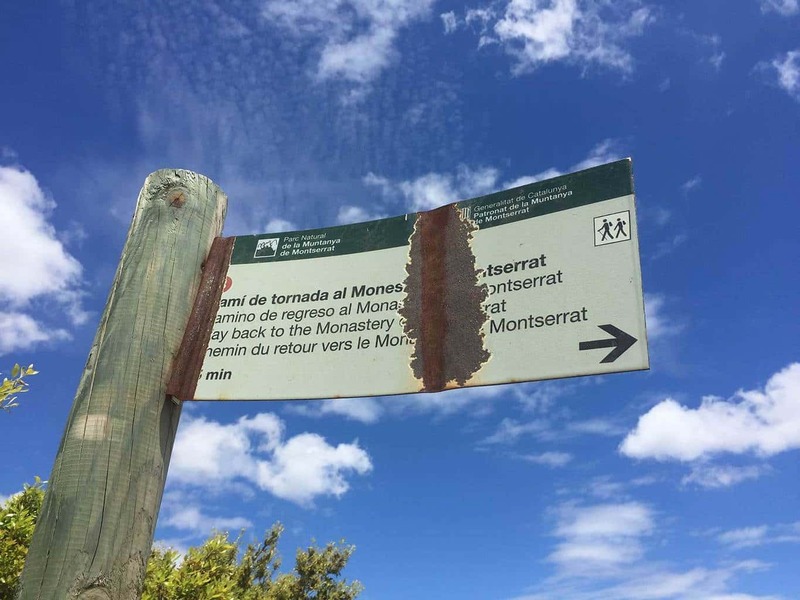 Spring, Summer, Fall: As Montserrat is a popular travel destination, the #GoHikeIt team recommends planning your visit for early in the morning to avoid long waits at the cable car. 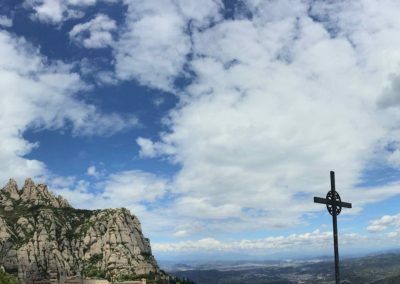 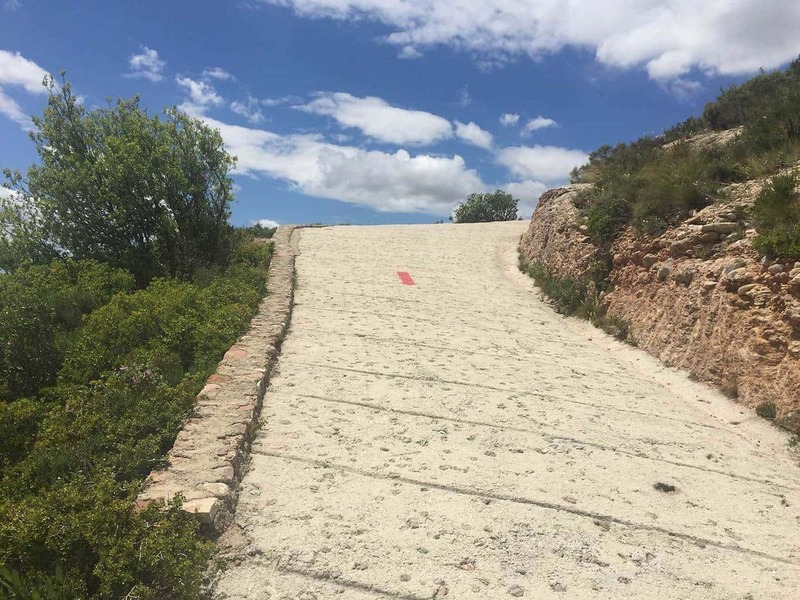 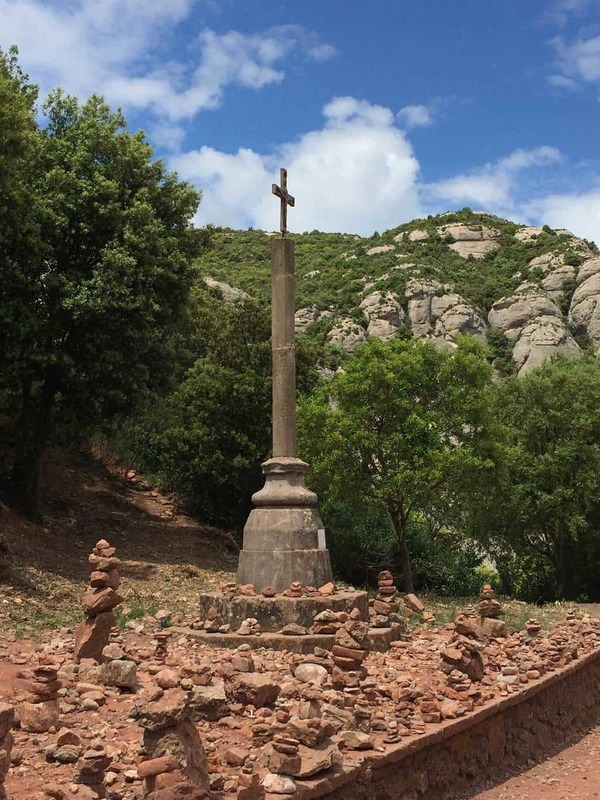 Additionally, crowds can significantly increase during the summer months as Montserrat is a very popular hiking and religious destination. Yes, dogs on leashes are permitted in certain sections of Montserrat. 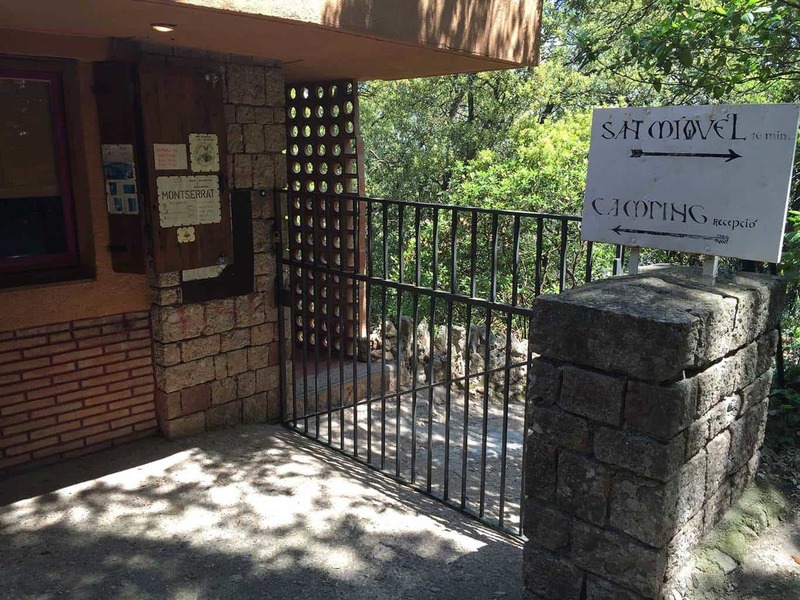 However, dogs may be restricted from accessing certain sections of the monastery. 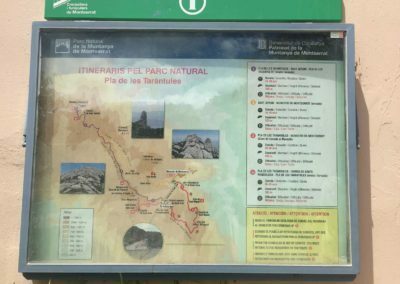 From Barcelona, take the train from Barcelona Placa Espanya to Aeri Montserra (Cable Car) or Monistrol Montserrat (Railway). 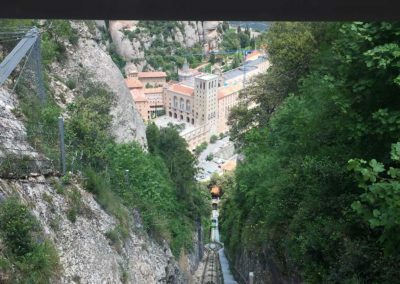 The train ride typically take 1-1.25 hours. 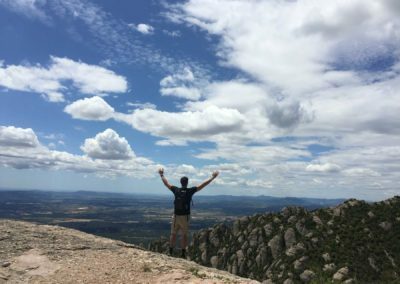 ¡Increíble! 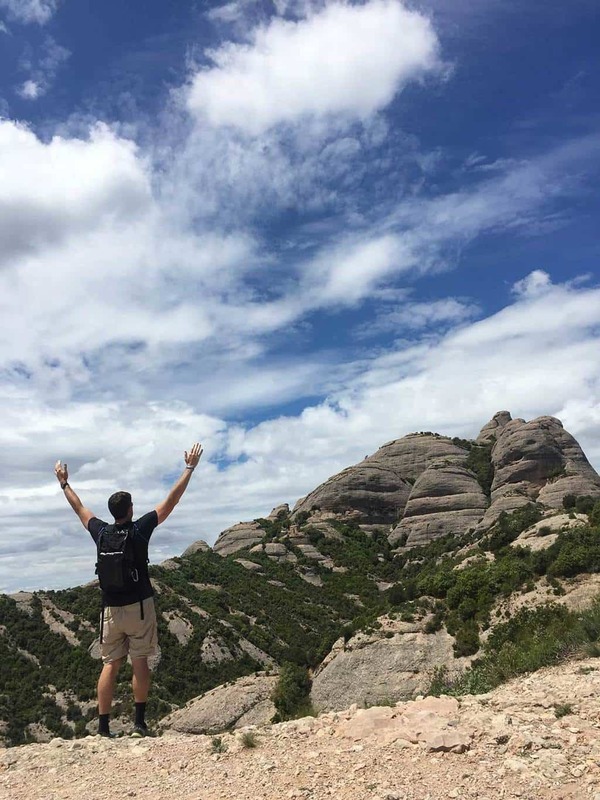 It was a pure joy to hike in Montserrat. 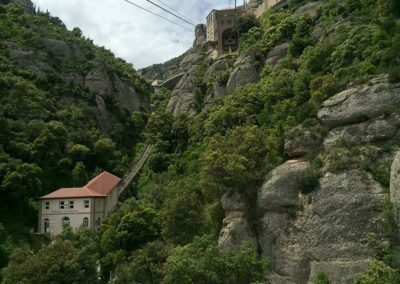 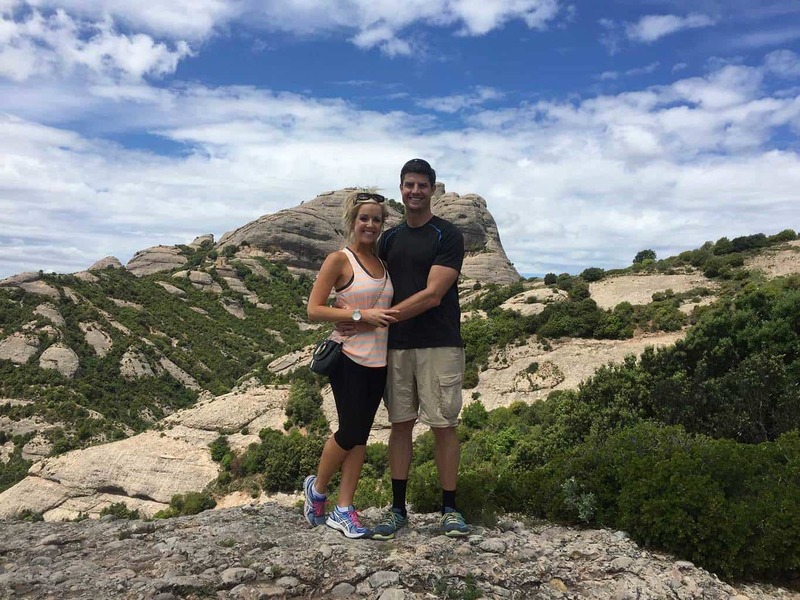 We enjoyed exploring the monastery and hiking up the mountainside. 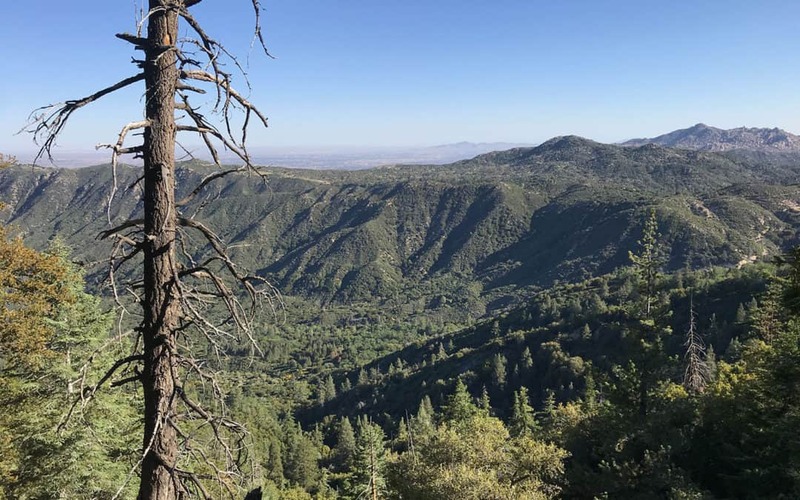 The views were spectacular and the cool mountain air provided a refreshing retreat from the summer heat. The shapes of the boulders are very unique and create a surreal hiking environment. 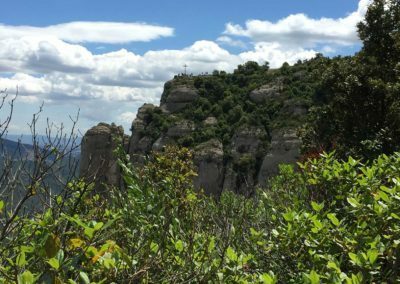 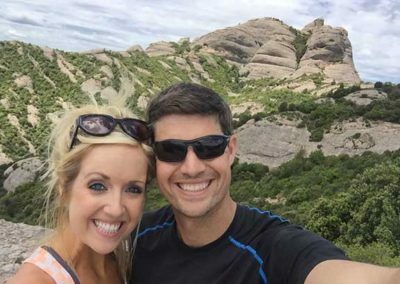 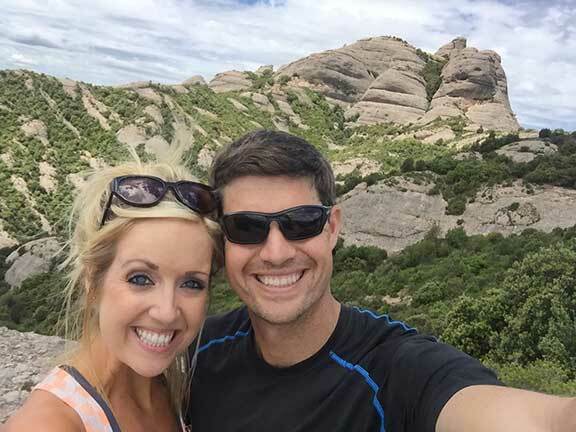 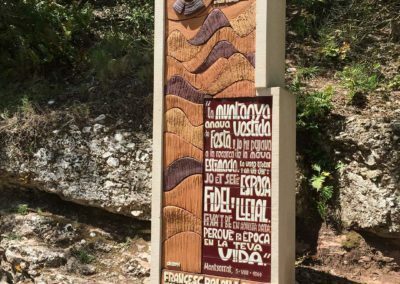 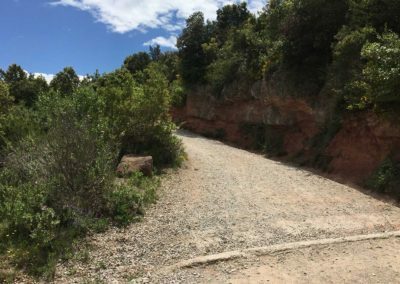 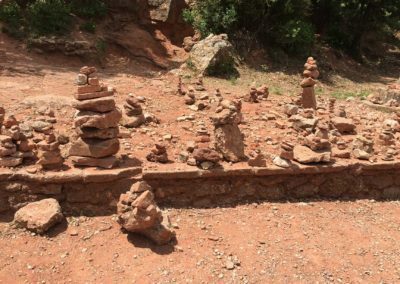 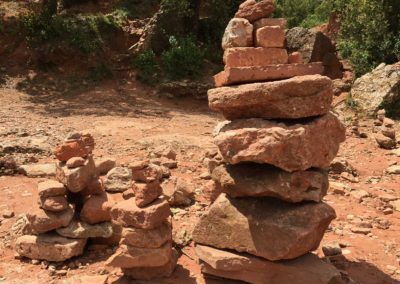 If you’re visiting Barcelona and have a 1/2 or full day to explore, this hike is definitely one to add to your bucket list!